Riley Unroe provided the Mobile BayBears (66-70) with a walk-off single in the bottom of the ninth inning on Monday afternoon to defeat his former team, the Montgomery Biscuits (79-61), 4-3 on the final day of the regular season. 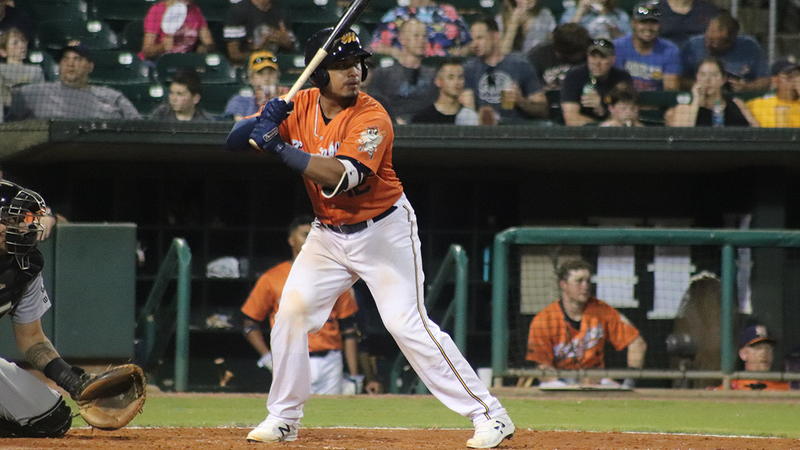 The Biscuits used five different relief pitchers to wade through the final nine innings before the playoffs in preparation for Wednesday's Game One of the North Division Championship series. RHP Curtis Taylor got the start, tossing a scoreless frame in the first. Mobile struck first with a sacrifice fly RBI in the second inning from Alexis Olmeda. The Biscuits answered right back in the third thanks to back-to-back doubles from Nick Solak and Brett Sullivan to tie the game at one. In the third, the BayBears grabbed a 3-1 lead. Unroe brought in a run with a groundout, and Zach Houchins singled home Jahmai Jones against RHP Reece Karalus. RHP Blake Bivens and LHP Dalton Moats kept the Biscuits in the game by blanking the Mobile offense over their five innings of relief. Montgomery bounced back with runs in the sixth and seventh to tie the game. Nathan Lukes plated Mike Brosseau with a single to bring the Biscuits within a run. In the seventh, Solak beat out a potential inning-ending double play with Michael Russell at third to tie the game. Solak ends the year as the Southern League leader in hits (135) and runs scored (91). After LHP Patrick Sandoval tossed five innings of one-run ball in a start for Mobile, RHP Jason Alexander (W, 2-5) handled the final four frames, allowing the two late runs while striking out and walking a pair. RHP Spencer Jones (L, 1-1) came on in the bottom of the ninth for Montgomery. Mitch Spires cracked a one-out double to left center. Unroe followed two batters later. The former Biscuit launched a ball off the right field wall, scoring Spires easily to secure the walk-off in the BayBears' final game of 2018. The Biscuits will have an off-day on Tuesday, and will then head to Jackson, Tennessee to take on the Jackson Generals in Games 1 and 2 of the North Division Series Wednesday, September 5 and Thursday, September 6, before returning to Riverwalk Stadium for Game 3 on Friday, September 7. Game One's first pitch is set for 6:35 PM CT.